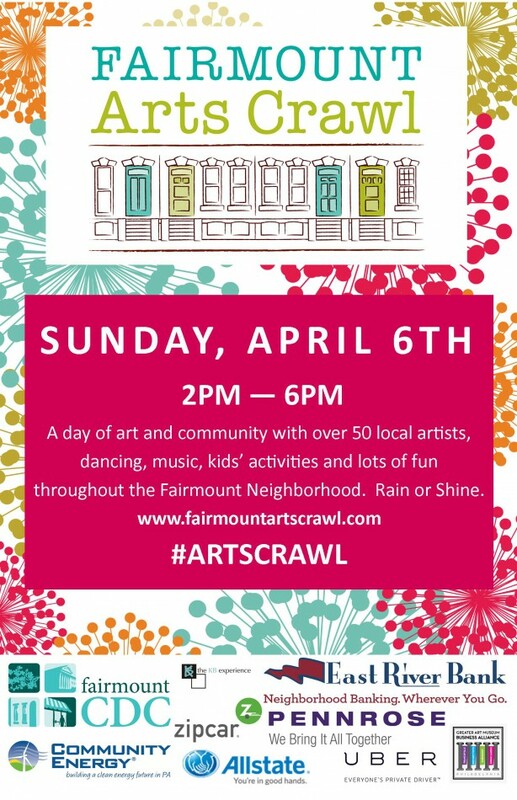 I’ll be in Philly this coming Sunday, April 6th, showing some of my artwork as part of the annual Fairmount Arts Crawl. I’ll be located in the offices of Berkshire Hathaway Fox & Roach Realtors at 2451 Fairmount Ave. I took part in the event last year and met so many nice folks from the neighborhood. There will be music, food, activities for the kids, and of course… lots of art!! If you’re in the area that afternoon please stop by and say hi. More info is available from the Fairmount community website.